"You Have To Go Through A Storm To Get To A Rainbow "
Dainere Monique Anthoney was born at 6:11pm on the 8th February 1998 a happy, healthy baby. Her world was turned upside down on 24th March 2009 at just 11 years of age, she was diagnosed with having a brain tumour. On 30th March 2009 it was revealed the brain tumour was an aggressive High Risk Medulloblastoma: brain cancer! She endured a ten hour surgery, high dose radiation, high dose chemotherapy with autogluous stem cell transplants and many blood, platelet and plasma transfusions. She also had to deal with numerous side effects and ongoing health issues from her treatment. Following treatment she had residual tumour remaining which was stable however in February 2012 just three days prior to her 14th Birthday, she suffered an inoperable and incurable recurrence of the disease in her spine and brain, with palliative care being the only treatment available and tragically at 7:25pm on 24th June 2013, she had her life stolen by this horrific disease. Dainere lived her entire short life in Canberra and during her time she made a significant impact not only on the Canberra Community, across Australia and worldwide. She inspired so many leaving lasting footprints on their hearts and lives. She was a prolific awareness and fund raiser for paediatric brain tumours and an inspiration and role model at School and in the sporting arena. During her journey she began to write a Blog, she wanted to share her story with others to give them inspiration and hope. When she was granted a Starlight Wish, she wanted to have her Blog published as a book. “You Have To Go Through A Storm To Get To A Rainbow” is a personal account of her courageous battle told with such inspiration, honesty and wisdom and she decided that all funds raised from the book must go towards paediatric brain tumour research. After her recurrence she wrote a special list and one desire was to have a second book published and with the help of friends “Theodore and Friends – Theodore is Left Out” became a reality. Dainere wanted the book to teach children tolerance, acceptance, understanding and kindness. Again all funds raised from book sales went to paediatric brain tumour research. 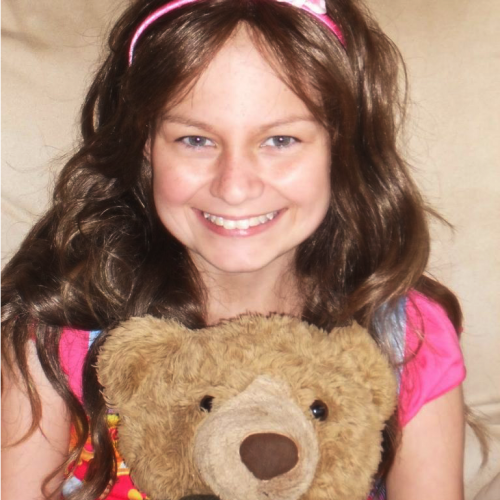 She was posthumously named as The Young Canberra Citizen of the Year 2013 jointly with her brother, Jarrett in recognition for their leadership, courage and determination to raise awareness in the Community of paediatric brain tumours. This is truly an honour and a legacy which she will be remembered for always. One of the highest and extremely rare honours was bestowed on Dainere in 2012. An Asteroid (308306) discovered at Siding Spring Observatory by an International Team, which included Robert McNaught (of Comet McNaught fame) and who gave the naming rights and was accepted by the International Astronomical Union to be named after Dainere as an inspiring Australian teenager, author and blogger who raised awareness and funds for brain tumour research. In honour of the work Dainere did she was fortunate enough to have a street named after her in the new suburb of Denman Prospect. This gesture would have meant so much to her and it will ensure that her message is never lost.